DIXON – A fourth online auction of Rita Crundwell’s personal property – mostly clothing – will run Feb. 23 through March 8 at txauction.com, the U.S. Marshals Service announced Monday. 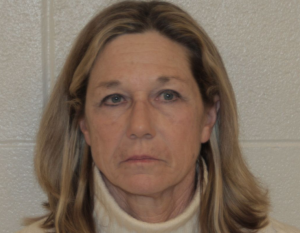 DIXON, Ill. ) – While former Dixon comptroller Rita Crundwell serves nearly 20 years in prison for stealing $53 million from the city, the U.S. 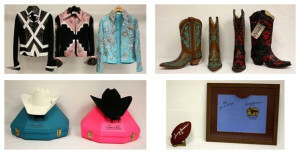 Marshals Service is touting success in selling more of her personal belongings. 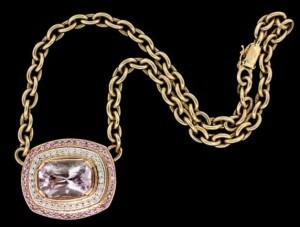 The sale of clothing and accessories raised more than $46,000. The Marshal’s Service says the publicity about the case and the two-week online bidding process provided a world-wide opportunity for public participation. DIXON – Some of Dixon’s recent and infamous history was discussed at the recent meeting of the Dixon City Council. Commissioners were given a presentation of audited financial statements from the 2012 and 2013 fiscal years, including former Comptroller Rita Crundwell’s final year with the city, and went into closed session to discuss releasing minutes from closed meetings after Crundwell’s arrest in 2012. Crundwell last year was sentenced to 19 years, 7 months in federal prison for stealing nearly $54 million from the city throughout two decades. A decision on releasing the closed-session minutes likely won’t happen for another two or three meetings, Mayor Jim Burke said, and would have to come back to the council as an action item on an agenda. The audit started in August 2012, Wipfli’s Rory Sohn said, and had to begin with detailing and documenting the money Crundwell had stolen, in order to accurately adjust the starting financial figures. Before Wipfli started the audit, the FBI took the city’s financial statements and accounting records, Sohn said, adding the auditors had to use the check register for the capital development account and bank statements from Fifth Third Bank. The auditors were able to piece together the finances from 2002 to 2012, which accounted for about $50 million of the nearly $54 million that was stolen, Sohn said. By starting in 2012 and working back, Sohn said the auditors were able to see the story of how the theft evolved, starting with overcharging businesses for sewer usage to writing checks for more than the city’s portion of actual projects that were receiving grants. Going forward, the city has a “bright future,” he said, and the general fund could operate at a surplus. Paying off three bonds early, which Midland States Bank and Sauk Valley Bank allowed the city to do, will save the city nearly $4 million. The city was paying about $500,000 a year in interest on those bonds, Sohn said. The audit also looked at internal controls and found areas that could have been stronger. Some were simple, Sohn said, like the fact that Crundwell picked up the mail and the fact that the account she was taking money from was the only one with a manual check register. The other city accounts were automated, he said. A Dixon state representative hopes some new Illinois legislation will keep a theft like Rita Crundwell’s from ever happening again. The new plan includes harsher penalties and more government oversight. Lawmakers overwhelmingly passed three bills in the house. But there are concerns at least some of the legislation just adds more government to municipalities that already have oversight in place. “That we have effective and strong prosecution at our disposal on the state level to make sure we can effectively deter this from happening and prosecute those who do it,” says Representative Tom Demmer. He is a Dixon native helped introduce what’s being called the Anti-corruption Legislation. It was created after Rita Crundwell pled guilty to stealing $53 million as Dixon’s comptroller. One bill allows for forgery charges to be brought if an invoice or a receipt is counterfeited. The second establishes higher penalties for theft or misapplication of public funds. “Both of those kind of recognizing that forgery is already illegal, theft is already illegal but when it happens with local government is has that added impact of harming people’s trust and confidence in local government. So we recognize that maybe those need a little more stronger teeth in prosecution,” says Demmer. The third creates safeguards by making all counties and municipalities create a finance and audit committee which includes members of the government and the public. Winnebago County already has something like it, its called the finance committee. “In some ways it would be redundant,” says Bill Crowley, Winnebago County auditor. That’s because not only is each department audited and brought before that county committee. They have also gone a step farther. “We have the checkbook online, you can go on our website and you can actually see the payments that we make to various vendors in real time,” says Crowley. The bills are currently in the Illinois Senate. It still has to pass out of committee but senators should vote on the bills in May. Disgraced former Dixon comptroller Rita Crundwell was sentenced today to about 19 1/2 years in prison for what authorities have called the largest municipal fraud in the country’s history. U.S. District Judge Philip Reinhard ordered Crundwell taken into custody immediately to begin serving the sentence of 19 years and 7 months. “I’m truly sorry to the city of Dixon and my family and my friends,” Crundwell said as she choked up before the sentencing, her first show of emotion since she was charged last April. The judge spoke of the “sheer magnitude” of Crundwell’s fraud and her callousness in carrying it out over more than two decades. Crundwell pleaded guilty to stealing nearly $54 million from the small northwest town over more than two decades to fund a lavish lifestyle while the town’s budget was awash in red ink. Prosecutors asked that Crundwell, 60, be sentenced to as much as 20 years in prison, citing the staggering losses the city sustained. Crundwell’s attorney, Paul Gaziano, asked the court to consider a lighter sentence. recognizing Crundwell’s cooperation with authorities after her arrest last April. Several Dixon city officials – including the police chief and a city commissioner – were called to the witness stand to detail how Crundwell’s massive thefts crippled the city budget – though Crundwell led employees to think the economy and late state payments were to blame for the cash crunch. And Mayor James Burke read from a victim-impact statement, declaring that there was not a culture of corruption at the City Hall. For the first time, authorities hinted that Crundwell’s thefts may have started even earlier than first thought, as far back as 1988. Previously, prosecutors said the thefts began in December 1990. U.S. marshals have been working to recoup some of the losses to repay the town, best known as the boyhood home of President Ronald Reagan. So far, they have collected about $11 million from the sale of Crundwell’s 400 horses, ranch, personal property, a luxury motor home and other vehicles, and expect about $10 million to ultimately be returned to Dixon coffers. “There was trust that the city of Dixon placed in Rita Crundwell. … You can trust but you have to verify, and I think that’s the lesson for other municipalities, governments,” Assistant U.S. Atty. Joseph Pedersen told reporters at the Rockford courthouse after the sentencing. Crundwell still faces 60 state charges of felony theft, each of which carries a potential sentence of up to 30 years in prison on conviction. That case is due back in court in Lee County on March 4. The Lee County state’s attorney said she would meet with town officials to decide whether to continue to pursue the pending state charges.